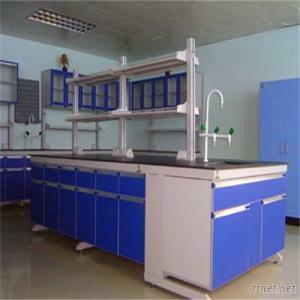 Full steel series laboratory furniture? Steel and wooden lab furniture? Worktops: the Chemsurf is special material for laboratory, with excellent corrosion resistant performance. Width: the side bench is 750mm; the center bench is 1500mm. Base cabinets: Quality 1.2mm cold-rolled and moulded steel construction cabinets finished in 0.5mm safety epoxy enamel perfect for prevent corrosion and heat. the height of shelf panels can be adjustable according to different requirement. Reagent racks: Be made up of 1.2mm cold-rolled steel, covered with EPOXY RESIN powder static painting to resist acid and alkaline and stand heat. the height can be adjustable according to different requirement. Drawer Slides: the Sika, good quality and without noise. Tools, Measurement & Analysis Instruments, Lab Supplies, Lab Supplies/n.e.s.